To prove the performance of its thread locking system against other methods, Loctite submitted its products for independent testing in a transverse shock and vibration machine in which pneumatic hammers force relative movement of the stressed parts. At the same time, the existing pre-stress force was continuously measured for the number of load cycles. Characteristic clamp load retention curves of the various locking methods were then compared. While a similarly favourable load cycle performance was provided by the ribbed flange bolt, it does have other disadvantages. 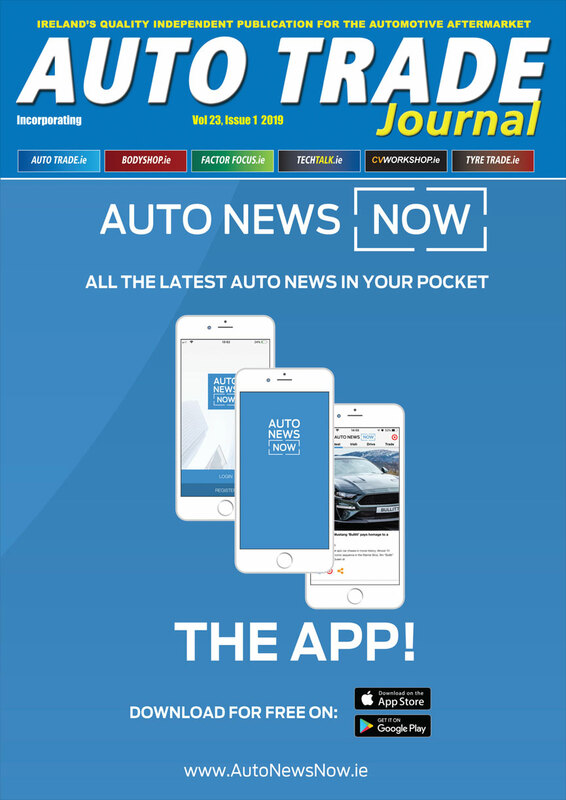 It’s expensive, requires a relatively large amount of space for the flange bearing and causes unavoidable damage to the surface of the clamped parts around the bolt bearing. A bolt with a saw-toothed flange also performed well but its teeth penetrated the bearings surface of the clamped material. The head and the nut were damaged during loosening, limiting their possible application to parts with hardened surfaces that cannot be reliably connected. As well as performing well, the Loctite thread lockers are able to cut costs by replacing expensive special locking bolts or nuts, allowing less costly standard assemblies to be used. 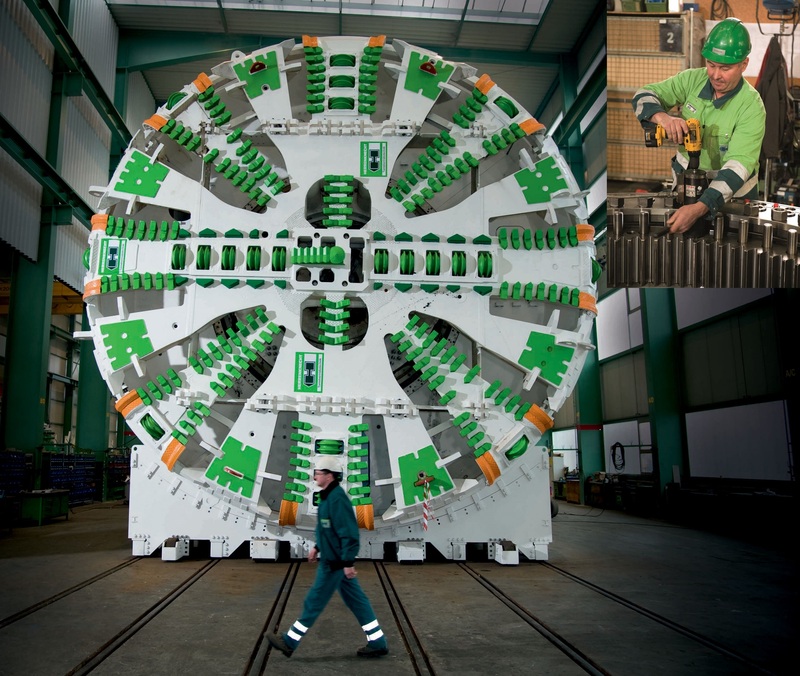 When Herrenknecht AG were evaluating the best way to secure threaded assemblies on its tunnel boring machines for Crossrail it chose Loctite. It mainly uses Loctite 243 to lock bolts which must resist massive pressure as the machines eat into the sub-soil. This is a medium strength adhesive that is suitable for all metals including passive substrates. And it’s a similar story with Local Motors’ Rally Fighter, high performance, off-road racing car that needs to withstand extreme conditions without constant maintenance. Cars like the Rally Fighter are subject to jarring bumps and vibration that shake loose even the sturdiest of nuts and bolts. By applying a Loctite thread locker mechanics knew that once they tightened the bolt or screw, it would stay tightened, even in the toughest environments. 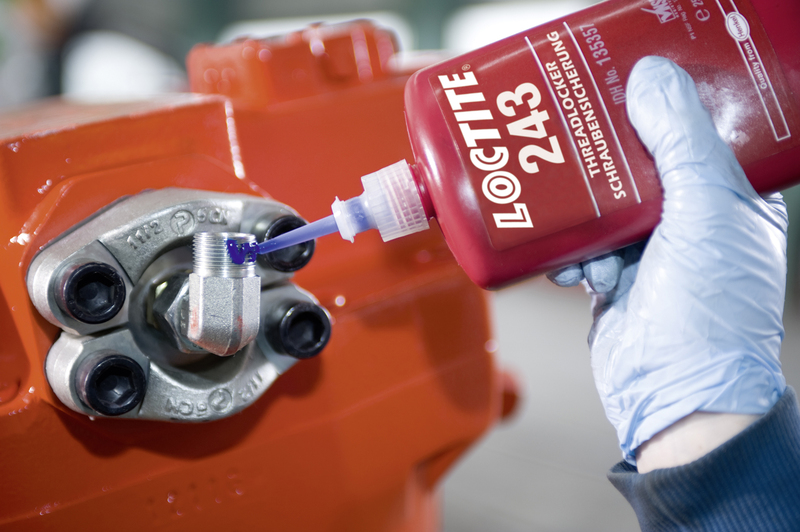 Loctite thread locking adhesives are available in varying viscosities and strengths to meet the needs of a wide range of applications. They are single-component and semi-solid adhesives that cure at room temperature to a hard, solid thermoset plastic when applied between steel, aluminium, brass and most other metal surfaces. Low strength formulations allow disassembly with standard hand tools and are ideal for adjustment screws, calibration screws, meters, gauges and for thread sizes up to M80. Medium strength provides a greater degree of performance and is good for machine tools, presses, pumps, compressors and gearboxes. High strength products are used where frequent dismantling is unlikely and may require localised heat for removal, as do wicking compounds that are widely used for pre-assembled fasteners. Continuous development of Loctite thread lockers has greatly extended the application scope of these products. They are now much more effective on passive substrates such as stainless steel and their greater oil tolerance makes them less sensitive to improperly cleaned parts. And importantly, these qualities have been achieved without compromising any of the products’ other key properties such as chemical resistance and shelf life.